Crochet your very own quick and simple cowl using few stitches. Cowls are perfect to keep warm and it can be a fashion statement piece. Pair up this Cutie Pie Cowl with a pair of Cutie Pie Boot Cuffs and your favorite crochet hat. You can easily find a simple crochet hat pattern to make. 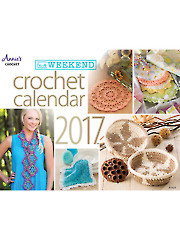 This is made in rows for those who have a difficult time crocheting in the round and losing count. You can make it as long or short as you want and it’s very easy. Longer rows will produce an infinity scarf that you can wrap around your neck a couple of times. The Cutie Pie Cowl is an easy pattern to follow and a good beginner project that can be made in a couple of hours. Row 1: With black yarn ch30, sc in 2nd ch from hook, *dc in next st, sc in next st, repeat from * across to end, turn. Row 2: Ch1 (does not count as st), dc in same st, sc in next st, *dc in next st, sc in next st, repeat from * across to end, turn. Row 3: Ch1, sc in same st, *dc in next st, sc in next st, repeat from * across to end. Repeat Row 2-3 alternatively until it measures approximately 32″ from beginning to end. If you want it longer continue repeating Row 2-3. Finish off and join to first row forming a circle. Whipstitch beginning and ending row together. Optional Edging: With right side facing and Leopard yarn, slip stitch to any stitch, ch1, sc in same st and in each st around 3X. Repeat for other edge. Please share on social media and Happy Hooking! Do you ever find yourself wishing you could find the yarn mother load. Often in the crochet groups someone will post a picture of their mother load stash, whether it be given to them, found at Goodwill or Estate Sales. I’ve been to Goodwill a few times and I never find anything. While in one of the crochet groups someone posted their picture of their yarn score from OfferUp. OfferUp is basically your typical buy and sell from people in your area. There are many sickos out there, so be careful, and if it looks to good to be true leave it alone. *Disclaimer: I’m not endorsing this company. I’m sharing my experience only. I was able to find something on the first try. I was lucky enough and met a nice woman who could no longer crochet due to a hand injury. For the $20 I paid I was overjoyed. I told her the yarn was going to a good home. The bag was huge and I did not expect that much yarn. The yarn selection was definitely something that I would not normally buy. That’s a huge plus because it will force my creativity with the textures. There were many brands that I’ve heard of and quite a few I’ve never heard of. Bored on a Saturday I picked out some bulky yarn and started a “listening” to movie on Netflix. The yarn was from Blue Sky Alpaca, yay a company I’ve never heard of. It’s 50% alpaca/50% wool super bulky yarn that comes in 24 colors. I tried searching for a price on their site and didn’t find one. The skeins are 45 yards and you will need plenty if you are making something larger than a cowl. The cowl I made used 3 skeins with about 12″ leftover. Overall it’s a very good quality, high end of the scale yarn. The downsize of this yarn is the shedding. By the time I finished my red shirt had white strands all over. Maybe overtime it will stop shedding. It’s no biggie to me. I was finished way before the movie was over. I love instant gratification and cowl making satisfies my needs. In between projects I find myself making a cowl. A cowl would make a last minute gift. Enough of the blabbing and on to the pattern already! Row 1: Ch22 (loosely), dc in 4th ch from hook, dc in next ch, dc in each st from hook, turn. Row 2-21: Repeat Row 2 or until desired length. Hope you enjoyed this pattern and please share on Social Media! Please favorite the Soft and Warm Cowl on Ravelry. You can even save the pattern to your long list of projects.